As overall use of the web increases, so is competition for visibility online. Search engine optimization, which was once simple, now requires a detailed strategy and focused execution. More advertisers are bidding on keywords, which has increased the average cost of pay-per-click advertising. Although the investment in traffic generation is rising, it has never been easier for users to hit the back button and exit the site. Traffic costs more, and user expectations are increasing. 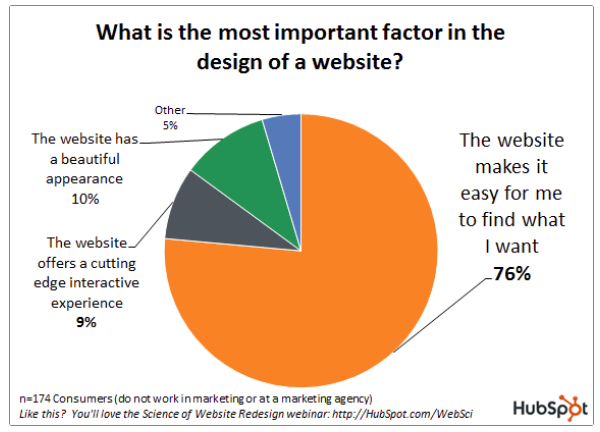 This emphasizes the importance of providing an excellent post-click experience on your website. This is one reason why websites must be mobile friendly and structure their content properly. In the client example below, Judson Services uses strong visual cues to help users identify senior living locations. Once they click a location, the service levels are presented to them in a sidebar menu. One way to uncover how users interact with your website is to install a “heatmap tool” such as hotjar. The heatmap tool will track where users click, how far down the page they scroll, and where their mouse moved. Knowing how users engage with your page can help you learn if certain elements need to be emphasized or removed. We implement this software to help identify how users engage with landing pages. The graphic color changes on this screenshot, below, illustrate what a heatmap shows. From this heatmap example, we learn two things: that users are clicking on the logo in the upper left corner, and that they are moving their mouses to the right side of the screen to avoid obstructing the Before and After images. 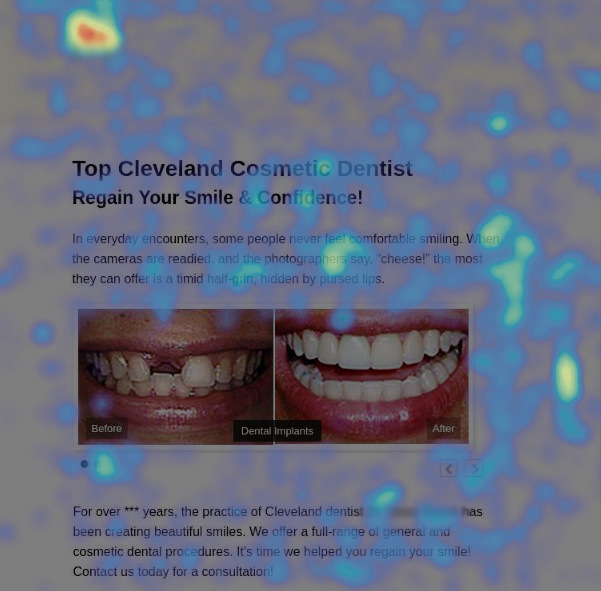 Check your website’s Google Analytics behavior data and install heatmap software. You may be surprised to discover what users are clicking, and where they are exiting your website. Dynamics Online is a full service internet marketing agency that provides web design, search engine marketing, social media strategy and more. We can look at your current web site and help you to determine if you need improvements. Call us at (216) 292-4410 or contact Ray via email.